The CBS Series, Person to Person, ran a segment visiting the home of iconic actor, George Clooney. 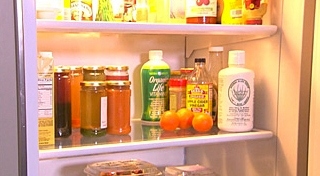 The interview even included a look inside the Clooney fridge where a bottle of our award-winning Organic Life Vitamins presented itself with some healthy salads. The segment was also featured on Entertainment Tonight with no less than three beauty shots of OLV.